• Choose a Limits mode for erasing: Discontiguous to erase the sampled color wherever it occurs under the brush; Contiguous to erase areas that contain the sampled color and are connected to one another; Find Edges to erase connected areas containing the sampled color while better preserving the sharpness of shape edges. • For Tolerance, enter a value or drag the slider. A low tolerance limits erasure to areas that are very similar to the sampled color. A high tolerance erases a broader range of colors. • Select Protect Foreground Color to prevent the erasure of areas that match the foreground color in the toolbox. 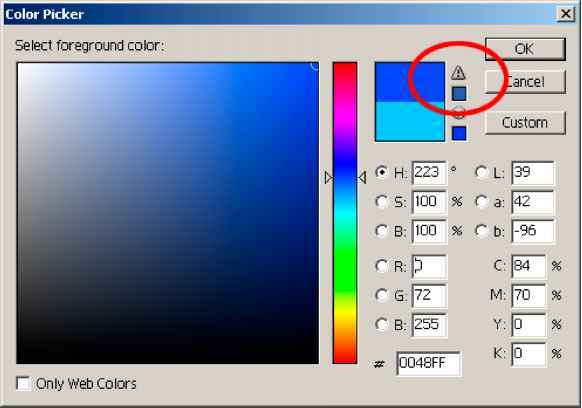 • Choose a Sampling option: Continuous to sample colors continuously as you drag; Once to erase only areas containing the color that you first click; Background Swatch to erase only areas containing the current background color. 5 Drag through the area you want to erase. The background eraser tool pointer appears as a brush shape with a cross hair indicating the tool's hot spot ®.